Boarfold Campsite is a wooded hillside with clearings and a 2 Acre field. 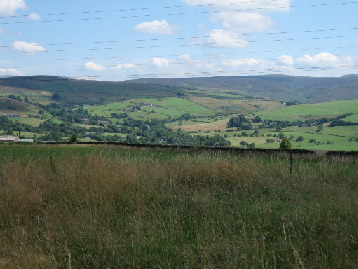 It is on the edge of the Peak District National Park with numerous activities within easy reach so is ideally positioned for Duke of Edinburgh and Scouting expeditions. It is 8 miles east of Manchester and is owned by Tameside South District which is part of Greater Manchester East County. Boarfold Scout Camp is now open, including the indoor accommodation. 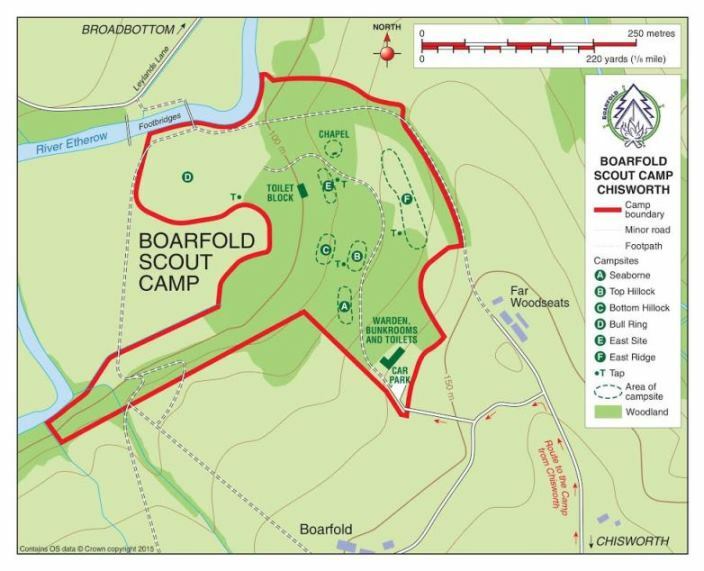 Boarfold is for Scouts & Guides, Youth Groups, DofE Groups. Not for members of the public. No dogs allowed because of the sheep on farms around the site. Indoor Accommodation sleeps 24. There are 3 small rooms with 2 beds in each room, then a larger room with 4 beds and 2 bunks. Then there is another room with 10 mats on the floor. There is a Dining Room and Kitchen with sink, fridge, cooker, pans, crockery and utensils. £50 Non-Refundable Deposit paid 2 weeks before the Camp. Fees can be paid by Cash, Cheques (Payable to "Tameside South Scout District") or BACS.